Having your child take up martial arts might be one of the best decisions you may ever make for your child. It really is so much more than just kicking and punching. 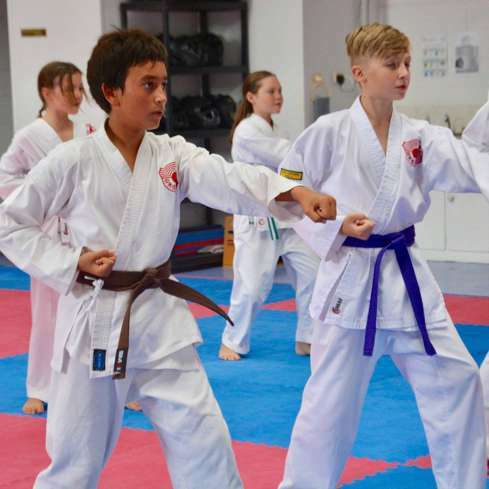 At Sunshine Coast Karate, we work with you to ensure your child leaves not only with practical self-defence skills, but with a confidence that lets them hold their head up high and excel in all their endeavours inside and out of the dojo. 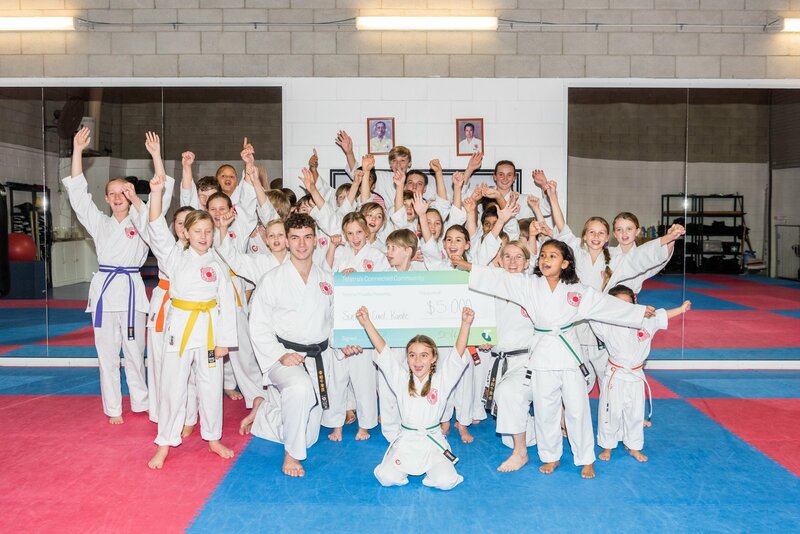 It is our goal to develop all of our karate kids from the inside out and help them not only develop their mental, physical, emotional and social fitness but to also encourage them to build healthy habits which will set them up for success. Qualities such as respect, goal setting, focus, concentration, perseverance, patience, commitment, self discipline and leadership are all practiced in a positive and supportive learning environment. The strengthening and refinement of these qualities through repetitive practice, has the potential to create solid foundations in your child's life that will propel them to great heights in all their endeavours. As parents it can be difficult to teach children how to know what is right from wrong especially as their circle of friendships, educators and environments broaden. We all want the best for our children yet underlying we want to protect our children from peer pressure, bullying (online and off line) and being excessive with things like gaming, negative thinking, unhealthy food choices and a lack of physical activity. It can also be so overwhelming for some parents that it creates much anxiety and stress in the family unit which affects everyone. We too are parents and are aware of the difficulties of raising children. We are honest, we make lots of mistakes but one of the best things for our family has been raising our children within a martial arts community. 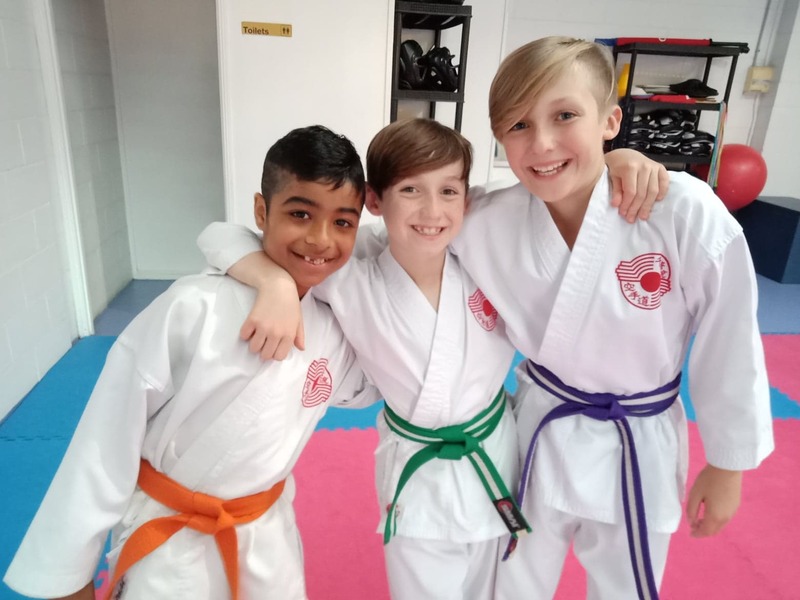 Our kids haven't always practiced karate, but being within the environment, observing and connecting with others has certainly had a positive impact on all areas of their lives. The study of martial arts nurtures and strengthens so many great qualities and habits, all of which we continue to benefit from daily. Achieving each level within martial arts requires the incremental improvement of your child's understanding and ability to execute their basics a little better with each level. This learning process encourages a beautiful yet powerful "learner mindset" for your child. This learning mindset requires the gradual improvement of focus, concentration and much patience. It also requires a genuine curiosity to seek a way to improve their existing practice. Why are we so excited about this learner mindset for your child? The more time your child invests in martial arts the more they are able to focus and concentrate. This increased ability to focus will help your child cut through the noise and distractions of our external environments (including peer pressure and bullying) that may be holding them back in school, at home or in other activities. With more practice of this learner mindset coupled with a growing self awareness and confidence, your child will position themselves to take on all challenges with a great level of determination. Achieving your goals in all areas of your life has just gotten easier. Our results driven programs coupled with our highly experienced professional team is packaged with a dynamic community of like minded people. 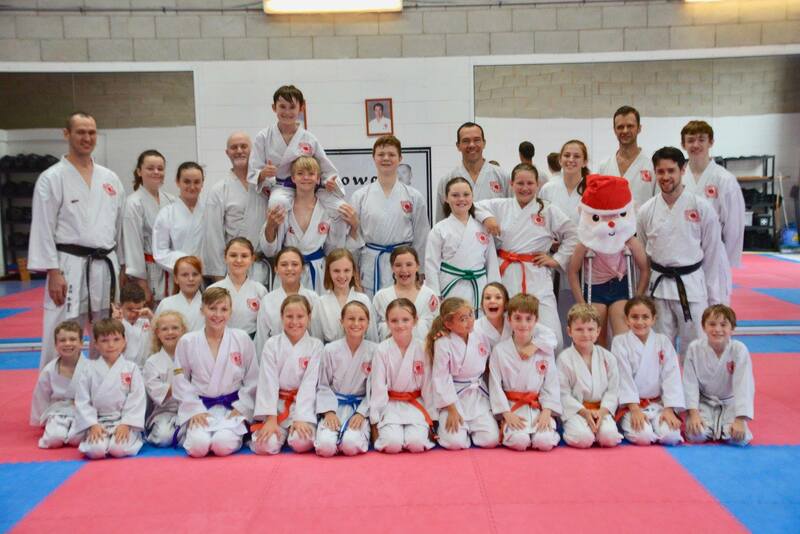 The Sunshine Coast Karate community are amazing people, just like you. Every person brings their own unique flavour to the dojo community and together we learn, grow and support each other. Our community continues to grow and strengthen with every year and is built on respect, compassion and patience for ourselves and each other. Skill based. As you demonstrate a sound understanding of the required content you will be invited to challenge for your grading. And.... it's lots of fun!! 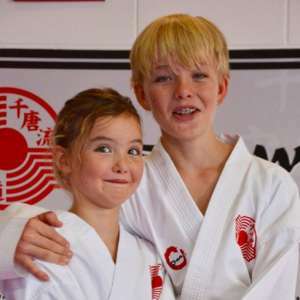 You will love Sunshine Coast Karate. We are hooked! Our Three Children and I have been training and learning at Sunshine Coast Karate for a few months now. 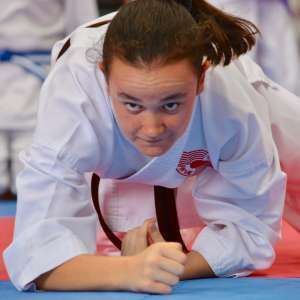 Why I included learning, is that we are not just training, we are learning so many things about Karate, and ourselves and each other. The whole experience is amazing. There are so many benefits. We are fitter, more flexible and we are doing a really healthy activity together. I am less stressed and more at ease in other areas of my life now. And my children are a lot more confident, have higher self esteem and are a lot more focused at School. We practice at home and we talk about Karate a lot. Its not unusual now for our Children to start a Karate Demonstration after dinner proudly showing us what they have learnt at Karate. We were already a close family, but now we are a lot closer because we spend more time together, training together and having fun together. And we have also made some great new friends as well. 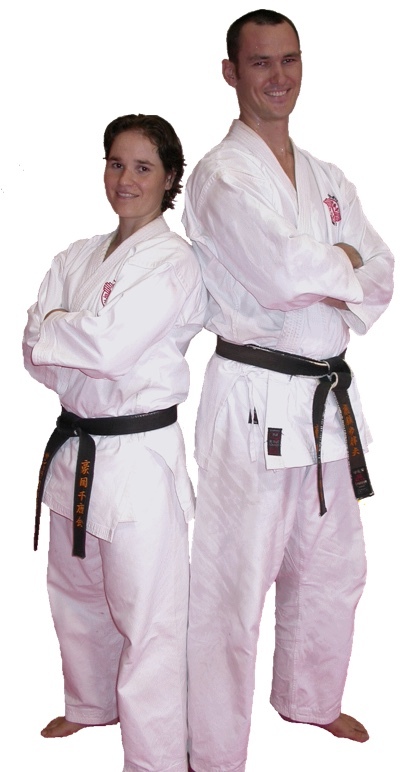 We really feel like we are part of the Sunshine Coast Karate family. A lot of people might think that Karate is just a lot of Kicking and Punching. Maybe that’s the case with other martial arts, but it is so much more than that at Sunshine Coast Karate. Sensei’s Martin and Sandra are amazing people. And so are all of the other Sensei's, Senpais and leaders at Sunshine Coast karate. Everyone is really positive and encouraging. There is that perfect balance of discipline for the children, but we also have a lot of fun as well. The Instructors and leaders are so patient with everyone, especially the little Champions (Age 4-8 ). They just know how to bring out the best in everybody. Sometimes I laugh to often and to loudly at my coordination or lack there of. And sometimes when we sit in Seiza watching a demonstration during class, we sit in absolute awe of what we are seeing. I train in some of the adult classes and in some of my kids classes as well. It is fantastic to be able to train alongside my children. We meditate, we stretch, we strengthen, we sweat, we puff and we laugh. If you don’t know what to expect at your first class, it is kind of like crossfit, mixed with Yoga, Pilates, Meditation , Cardio training, Martial Arts and Self Defence all in one. And if you are like my kids and I, the more you learn about Chito Ryu Karate , the more you will want to learn. 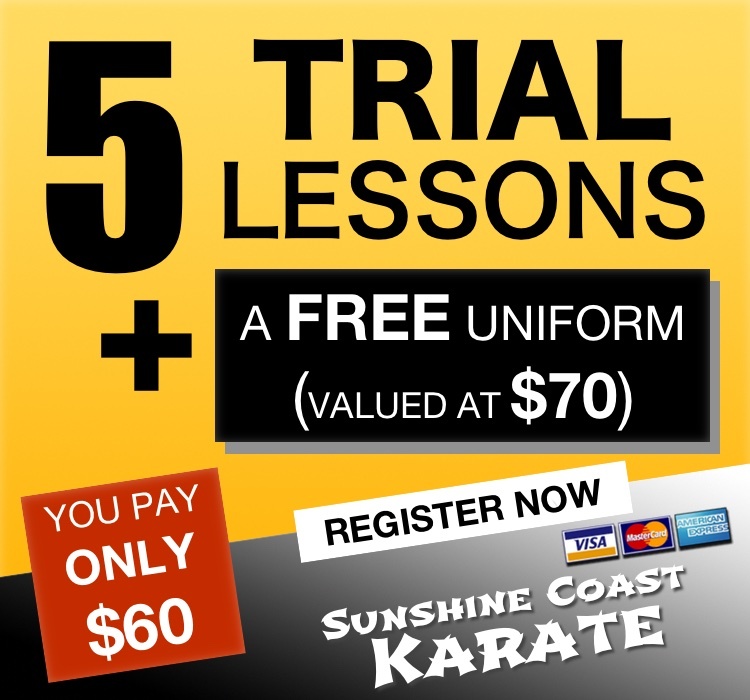 When you join , you will also have access to all of Sunshine Coast Karate’s online recourses. In the members section there are loads of resources to read and videos to watch. And if you have any questions everyone is very approachable and more than willing to share there knowledge on a certain technique. Please come along and give it try. As they say the hardest part is stepping into the dojo and giving it a try for the first time. You and your Children might be nervous, but honestly there is nothing to be nervous about. There is no such thing as being really bad when you start learning Karate at Sunshine Coast Karate, there is only room for improvement. What if you and your kids are naturals at Karate. You wont know unless you give it go. If you are willing to give it a try you will find all of the encouragement and support you need at Sunshine Coast Karate. We look forward to seeing you there! We are beyond happy with the expertise that the entire team and family at Sunshine Coast Karate provides in each and every lesson. My daughter and I thoroughly enjoy our sessions and the motivation, determination and insightfulness that my daughter exhibits due to her sessions is astounding. 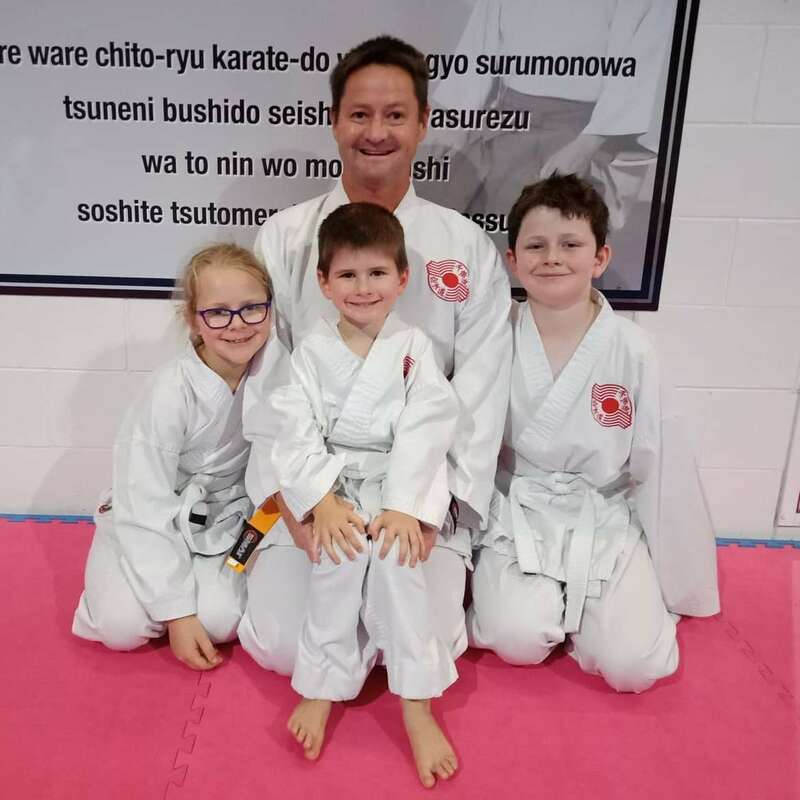 I highly recommend Sunshine Coast Karate to any family looking to join a fantastic extra curricular activity for their child or as a family. 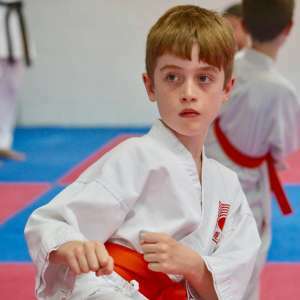 Will martial arts training make my child aggressive? No, in fact it's likely to have the exact opposite effect. Karate begins and ends with respect for self, others and their surroundings. 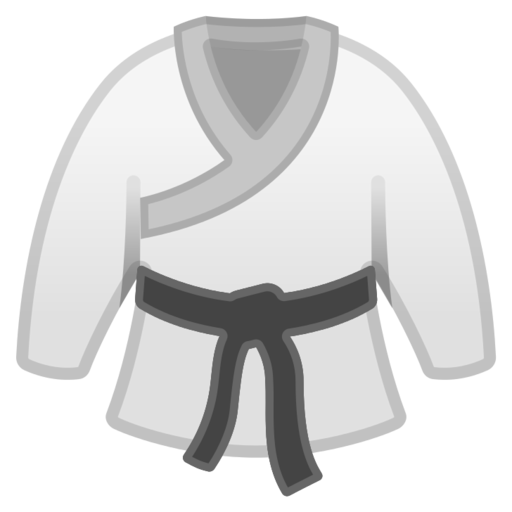 If anything, the karate dojo will help your child become more respectful over time and also show greater care and compassion for others. Do I have to do a long term training commitment? Not at all, the choice is yours. After your trial you will have the opportunity to choose from a variety of different program options. Depending upon your circumstances, you may choose to get started with a fortnightly option that you can cancel any time. Or, you might choose to make a 12 month commitment to save on your fees. My child needs help with behaviour. Can martial arts help? Yes. Self-control is a quality that your child will strengthen with martial arts training. Of course when trying to create any new habit it can sometimes take a little practice. My child needs to focus more at school. Will this help? Yes. In time you will notice a change in your child. A positive change. It's not uncommon that we hear of stories from local teachers and parents about the improvements that their child is demonstrating at school. My child is shy, can they start with a friend? Yes, training with friends and family is a great idea. Starting a training program with others adds another dimension to your training in terms of accountability to each other. This accountability can be a great asset to get you both beyond any challenges which may arise. Training together will also strengthen your friendship and make the training a whole lot of fun. 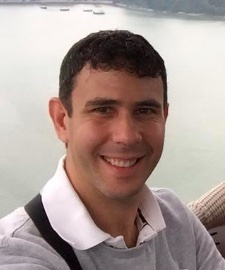 In the early days, when you don't know many people, having a friend or a family member with you can provide a little bit of comfort and familiarity until you establish new friendships within the training environment. Once I decide to get started with a 5 lesson trial, how does it work? Once you have purchased your 5 lesson trial, you'll book in for your first class and one of our team will contact you to confirm your class and answer any questions that you may have. If you are keen to continue your 5 lesson trial after your first class, you will receive your uniform or you can request a refund if it's not for you. Still have questions that aren't answered on this page? Karate begins and ends with respect. Every time your child visits the dojo, they will practice using respect countless times. Habits we practice are habits we gain. 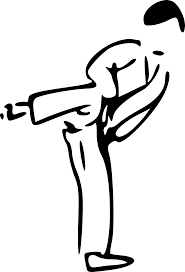 Martial arts classes will nurture and develop your child's body in a balanced way. They will become stronger, fitter and healthier. They will also develop muscle tone, mobility, flexibility, co-ordination, improved posture and breathing. When your child trains regularly, they will feel better about themselves. They will generally be more happy, harmonious and enjoy a more calm, stable and balanced life. 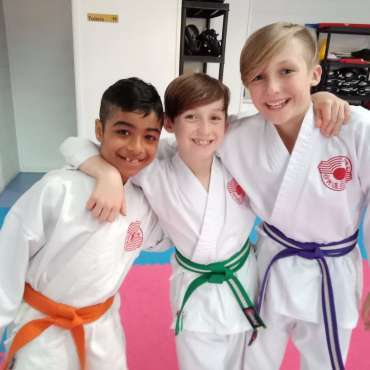 Martial arts classes nurture and develop your child's mind which leads to a heightened focus, clarity, productivity, organisation, time management, problem solving and more. Earning belts takes commitment, perseverance and much patience. Your child will be challenged, they will develop coping strategies and habits of success to help them navigate through challenges. In the dojo, your child will learn how to face adversity with clarity and take the victorious road no matter how difficult it may seem at the time.